As a custom metal fabrication specialist, Spencer Fabrications was able to apply its years of experience and expertise to perform the various processes required in the construction of this steel equipment rack. To ensure superior quality and durability, Spencer Fabrications carefully applied its primary capabilities, including metal forming, drilling, tapping and welding to the project. In addition, the company laser cut the mounting panels, sheared and sawed material to size, and utilized a press brake to form the panels, followed by manually mounting the hardware. After completing the various primary processes, which completed the construction phase, a textured powder coat was applied. For more information on this custom metal fabrication project, see the table below, or contact Spencer Fabrications, Inc. directly. 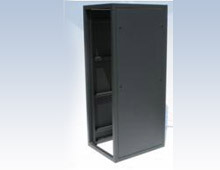 Product Description The featured Instrument Rack is used to house air emission monitors. 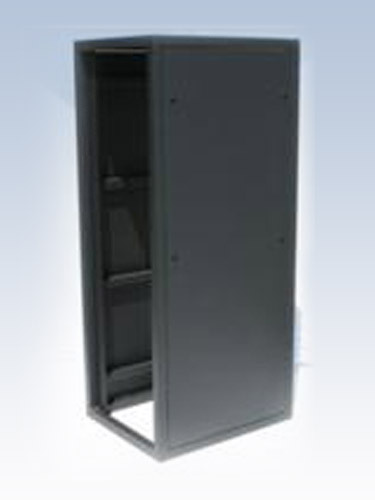 Overall Part Dimensions Length: 34.0"